Our flyscreens are ideal for keeping insects out of your property during the warmer months, while the fully translucent mesh allows for ventilation and almost perfect visibility - in fact, you'll hardly notice them. 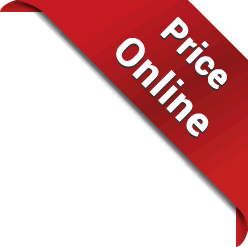 They are easily fitted and just as easily removed for cleaning and for storage during the colder months when they are not needed. Our flyscreens are hardwearing and made-to-measure using the best quality materials available. Durations flyscreens are specifically designed to be slim and compliment the aesthetic line of existing windows and doors. Flyscreens are perfect for use in kitchens within schools, pubs, cafes and restaurants, and other establishments where food is prepared. 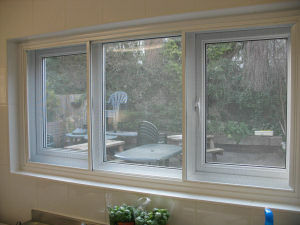 They are also great for warm conservatories where windows need to be open a lot during the summer. Now you can keep the windows open when its warm without the worry of flies in the room. Prevent insects from entering your property. Specially designed to compliment windows and doors. Easily removed for cleaning and storage when not in use. Fine materials, will not obscure your view or reduce ventilation. Made-to-measure and manufactured to your exact specifications. A perfect fit is the perfect barrier. Duration Flyscreens are made to measure from durable Aluminium frames with a fine non-combustible and non-corrodible fibre glass yarn mesh which excludes insects but, is fully translucent and allows full ventilation. The suite can be supplied with pre-drilled surround for ease of installation and comes with trims which conceals all fixing screws. You can easily remove old mesh and replace it with new mesh in case of damage. For replacement flyscreen mesh please contact us.